A Red Herring is a piece of information in a story that misleads or distracts the reader (and sometimes the character) from an important truth or leads them to mistakenly expect one particular outcome over another. A character who seems evil or suspicious. An object that seems relevant or important. An event that seems to be significant to the story or protagonist. A clue placed by the antagonist or a secondary character (unknown to the reader and the protagonist) that sends investigators down the wrong path. Red Herrings are a type of foreshadowing. The term “foreshadowing” refers to all the different ways that an author can give readers hints or clues about what’s coming. Readers pick up on these hints and clues to try and figure out what’s going to happen next (or at the end of the story). But not all of these clues will lead to the truth. Some will be used to deceive the reader about what’s coming—and in these cases, the “false clues” are called Red Herrings. Red Herrings can be used in any genre. If your story has any kind of plot twist or surprise ending, you can use Red Herrings to distract the reader (and even some of your characters) from the truth of what’s actually happening. It’s also worth noting that different genres change how the reader views and responds to Red Herrings. For example, in a true mystery, red herrings are used to make the reader incorrectly guess what has already happened. In a thriller or horror novel, red herrings are used to make the reader incorrectly guess what is going to happen. In Harry Potter and the Prisoner of Azkaban by J.K. Rowling, both the reader and the characters are led to believe that Sirius Black is the story’s main villain (besides Voldemort, of course). Twelve years ago, there was a Fidelus Charm on the Potter’s house to keep their location a secret. Someone betrayed their location to Voldemort which directly led to Jame’s and Lily’s murder. Most people believe that it was Sirius Black who betrayed James and Lily to Voldemort. Sirius Black was in Godric’s Hollow on the night of Harry’s parent’s murder. He was sentenced to life in Azkaban for the murder of 12 Muggles and a wizard named Peter Pettigrew. The murder was said to be so violent and messy that all authorities could find of Pettigrew was a bloodstained robe and a few fragments of a finger. Lately, while in Azkaban, Sirius has been heard murmuring, “He’s at Hogwarts,” in his sleep. It is believed that Sirius wants to kill Harry in order to finish what Voldemort started. Sirius Black has never tried to escape from Azkaban prison until now. His escape coincides with the Weasley’s return home from Egypt. Sirius Black is Harry Potter’s godfather. 1. Incorporate the Red Herring into the fabric of the story. Red herrings aren’t something to be pulled out of your hat when the plot lacks tension, excitement, or conflict. Like most storytelling techniques, Red Herrings have to serve a purpose and feel like they’re an organic part of the story. Not only that, but they need to be logical and have some kind of impact on the story. In the above example from Harry Potter and the Prisoner of Azkaban, Sirius Black (the Red Herring) plays a huge role in the story. If you took him out of the plot, the whole story would collapse. 2. Give your innocent characters motivation, means, and opportunity. If you’re planning to use a character as a Red Herring, you’ll need to convince readers that this person could legitimately be guilty. To do this, you could create an innocent character that either benefits from the crime, had the means or opportunity to commit the crime, has a strong motive, or all of the above. In Harry Potter and the Prisoner of Azkaban, Sirius Black is widely believed to have been the Potter’s “secret keeper.” That gives him both the means and the opportunity to betray their location to Voldemort. 3. Give the reader no (obvious) reason to suspect your guilty character. In contrast to your innocent character having a motive, means, and opportunity to commit a crime, you’ll want to give the real culprit no obvious reason or way to be involved in the crime. To do this, you could have a guilty character who is acting strange but the protagonist can’t put his or her finger on why (at least not yet). You could also discredit the guilty character by giving him or her a personality or skill set that doesn’t feel typical of someone “bad” or who is capable of committing a crime. In Harry Potter and the Prisoner of Azkaban, Peter Pettigrew is described (by Professor McGonagall) as being “a stupid and foolish boy” and as a “less than average student.” Nobody would have believed that Peter Pettigrew was capable of not only betraying and murdering his friends, but of siding with Lord Voldemort too. This is what makes the surprise even more enjoyable. 4. Focus the reader’s attention elsewhere when you plant clues. This one’s really important. Misdirection is not about withholding information, it’s about giving the reader extra information and focusing their attention on that instead of the truth. In Harry Potter and the Prisoner of Azkaban, almost every clue that points to Scabbers being more than just a pet rat is easily skipped over because of the way J.K. Rowling plants clues in the story. Sometimes she diverts reader’s attention away from the truth by hiding clues within a list of things (for example, the creators of the Maurader’s Map–Moony, Wormtail, Padfoot, and Prongs). Other times she distracts readers with action or high emotion (for example, when Crookshanks chases Scabbers around the room and Hermione and Ron get into a fight). The point? Don’t hold important information back from the reader. Figure out a way to not only discretely plant the truth in your story, but to distract the reader from that truth with something interesting too. 5. Always play fair with the reader. When someone reads your story, they give you their trust. They expect that what you tell them is the truth. They build on each bit of information, trying to understand the big picture and figure out what’s going to happen next. Tricking the reader by misleading them is fun (both for them and for you). But if you fool them by leaving out information they would legitimately have expected to be given, then you are just messing with them. In Harry Potter and the Prisoner of Azkaban, J.K. Rowling gave readers all the clues they needed to figure out Scabbers’ true identity. When the truth was revealed, readers were able to connect all the dots because all the clues were there from the start. So, be sure to always play fair with the reader by giving them the truth, but diverting their attention elsewhere. When you can pull this off, you’ll create a story that sticks with readers until the end of time! A poem must make you feel something, right? That is why it isn’t just a random selection of words. That is one thing all poems, regardless of form, have in common. They are still an artistic expression that evokes emotion. 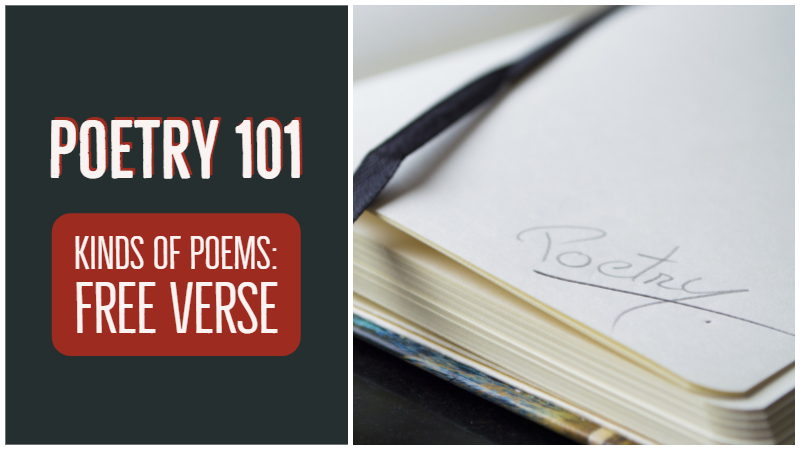 The ‘rules’ of poetry help you to convey the theme or idea to create that emotion. The tools or techniques give the reader the clues that they need to interpret the poem. I always tell my students when we debate the validity of writing rules, and this includes fiction, that ‘the rules’ might help you or they might not, but if you decide to break ‘the rules’ you should do so deliberately and with intention. Not just because. That is how I think about Free Verse. It is a deliberate disregarding of the rules and that becomes a technique in itself. When the reader doesn’t have the traditional clues to interpret the poem our writing must work harder. In a Shakespearean Sonnet we expect that the couplet (the last two lines at the end) indicates a turn or change in the poem. There are no such clues in the Free Verse. In the absence of rules, the parts that are present need to convey so much more. Everything must be considered. The vocabulary, the punctuation, the spaces, the line breaks, and the images that are created, and the emotions that are evoked. We are not constrained by rigid rhyme schemes and metre, but don’t think that makes your job any easier. The poem should still sing, it should still evoke an idea of cohesion and convey an idea. The joy of the free verse poem is that we can still use the traditional tools, but not in any way that is prescribed. So, feel free to use rhyme, assonance, foregrounding or any other technique to write your poem. I love the simplicity and clear imagery created by the example above. It is interesting to note that free verse is considered to be a more modern style, but it has been around for a while, considering Whitman wrote this. Note the images and movement he conveys in this poem. Since publishing The INFJ Writer over two years ago, I’ve talked to hundreds of INFJ writers, and the number one complaint I hear is that they feel creatively blocked in some way. These INFJs have big goals, and even bigger dreams, but they can’t seem to get started. I believe INFJs are hit harder by writer’s block than any other personality type, and that’s the truth of it. They don’t just feel stifled in their creative efforts, they feel like they’re trapped in despair. They know they have a book inside them waiting to come out — they can usually even see the outline of the story or the main character already — but when they sit down in front of the page, nothing happens. Classic writer’s block. Then the voice of the inner critic shows up and starts picking them apart. When it’s all said and done, the INFJ ends up feeling frustrated in the present and terrified of the future. What if they never write their book, and it dies a quiet death inside them? Weirdly enough, the answer as to why INFJs end up feeling so lost and so trapped by writer’s block lies in a closer examination of the INFJ’s top two cognitive functions. Let’s look at how Introverted Intuition and Extroverted Feeling can work together to create a mean case of writer’s block, plus I’ll share my tips with you on how to overcome it. Ah, yes. The INFJ’s so-called “superpower.” Most INFJs are fiercely proud of their intuition and rely on it heavily at all times. But this reliance must be kept in balance or the INFJ can easily go into information overload. The thing about Introverted Intuition is that it never shuts off. It delivers piece after piece of data long after any more data is even needed to move forward in a situation. 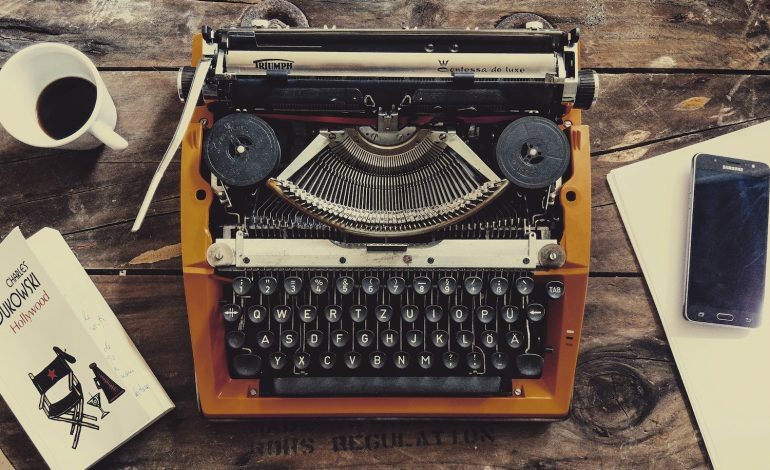 This can be extremely valuable when navigating the ongoing narrative of a real-life relationship, but when a writer is trying to nail down the structure of their novel, sometimes more details are the last thing they need. 1. Your story is getting way too abstract. Complex symbols and richly-layered themes are awesome, as long as you don’t get so caught up in them that you lose the concrete thread of your story and can’t move forward. 2. Your back story and/or world building material is overtaking the whole book. Again, detail is a good thing, so long as it’s held in check. If you find yourself with hundreds of pages of back story and no idea how to get back into the present with the narrative, that’s when you get stuck. 3. You’re mixing metaphors, and not in a good way. A lot of the time, it’s easiest for INFJs to explain the complicated patterns they see in metaphor. This can really work for a story, until it doesn’t. If you’re jumping from metaphor to metaphor without taking the time to do the harder work of pausing to grasp what you’re really trying to say, you’ll end up with a jumbled mess and no motivation to keep going with it. Now, let’s look at our number two culprit behind INFJ writer’s block — Extroverted Feeling. Extroverted Feeling is usually a good thing for INFJs. It allows us to connect easily with others through genuine empathy and mental interest. However, problems with Extroverted Feeling crop up with INFJ writers when we fall out of balance with differentiating our needs — and the needs of our book — from the needs of others. While it’s admirable to think about other people’s feelings, sometimes this can get out of hand with INFJ writers and hold them back. 1. You NEED to write your memoir, but you’re terrified. Yes, it’s always a good idea to be respectful when writing about real-life events that have actually happened, but sometimes you have to choose to speak your truth even if other people don’t like it. If you feel like what you have to say might actually harm someone, that’s one thing, but if you’re afraid that they just won’t approve, that’s another. Take an honest assessment of the situation to determine if you’re being held back by a valid boundary, or just the fear of disapproval. 2. The characters in your book are VERY different from you, and you’re terrified. This is quite common for INFJs, as we are intuitive personalities who seek to understand as much as we can about anyone who is different from us, in any way. However, we can become blocked when we start worrying about if it’s okay for us to work in the voice of a narrator who is a different race, gender, sexual orientation, etc. from us. We might get so caught up in not wanting to offend that we cut ourselves off artistically. No matter if it’s your Introverted Intuition or your Extroverted Feeling that’s gone into overdrive, the tell-tale sign that you’re out of balance is you’re caught in an INFJ Introverted-Thinking loop. This means that you’re overthinking everything, big time. You can’t stop thinking about your book, your writer’s block, and all the things in between. Your brain is convinced it can think its way out of the problem, but the truth is that all that thinking is just making things worse. The magic key to break out of your INFJ overthinking loop and get out of the prison of your head (and hopefully, your writer’s block) is to engage your extroverted functions. This means you need to seek out emotionally supportive people who can talk to you about the cause of your writer’s block. So, you might meet a couple of good writer friends for coffee, or you might go to a creativity conference full of workshops made for sensitive writers. But whatever you do, you leave the inside of your head and jump back into the real world full of real people. Reaching out for help is one of the hardest things for an INFJ to do, but if you’re struggling with crippling writer’s block, it’s the only way to move forward. Be brave. Take a deep breath. And then take the risk. Someday, your book will thank you. Lauren Sapala is the author of Firefly Magic: Heart Powered Marketing for Highly Sensitive Writers, a guide to help any highly sensitive person, INFJ, INFP, or introverted writer move past resistance to selling and marketing their work. She’s also the author of The INFJ Writer, a writing guide made specifically for sensitive intuitive writers. I began my professional writing career writing romance novels. Although I’d had short stories published in magazines, making a career out of short fiction didn’t appeal to me. I love to immerse myself in my fiction, going deep into character. You can’t do that in a short story. More to the point, in the early 1980s, short fiction wasn’t profitable. Publishing houses which published commercial fiction weren’t interested in short stories. Amazon changed all that. Amazon doesn’t care whether you publish a 90,000 word novel, or 9,000 word short story. Ebooks can be any length you choose. That said, until Amazon created its Kindle Unlimited (KU) subscription service, short fiction wasn’t popular with authors. Short stories didn’t sell as well as novels did. 2018 tip: please be aware that if you’re writing short stories, you’ll get the best results when you write longer fiction as well. Readers enjoy snackable fiction, as long as it’s free, or close to free. If you can write short stories in popular genres, and enroll them in KDP Select, so that they’re available free to KU subscribers, you’ll make sales. Real sales, as well as your share of Amazon’s fund. Yes, your short story sales are in addition to your share of the KDP Select Global Fund, which is the pot of funds by which Amazon pays you for free reads. Amazon pays you for free reads, as long as a reader reads more than 10% of an ebook. It’s easy for readers to hit the 10% mark in a short story, or novella, even if they don’t finish the ebook. At first, when my students told me that they were making more real sales of their short fiction which was enrolled in KDP Select, I didn’t believe it. Then I decided to experiment. I switched ALL my short fiction, across several pen names in different genres, to KDP Select. As it turns out, the students were right. Free reads lead to sales. You need practice. I started writing fiction at around eight years old. I can still remember sitting under a tree, on our farm, busily scribbling away. I scribbled and scribbled, until I received a typewriter on my fourteenth birthday. Then I typed and typed. My point? To repeat: you need practice. As I’ve said many times; no word you write is EVER wasted. That’s hard to believe, and you’ll believe it only in retrospect. So tap your fingers to the bone. Keep writing, and reading. Short stories prepare you to write novels. Of course, if you’re drawn to longer fiction, go for it. The gift of KU is that you can be paid for your short fiction. That’s both a good thing, and a very bad thing. It’s good, because you’re paid, and you’re encouraged, even as a new author. It’s bad, because new authors tend to think that practice doesn’t count. Instead of focusing on writing, publishing, and writing some more, they write and worry about sales. I encourage you, no matter how experienced you are, to let go of expectations. 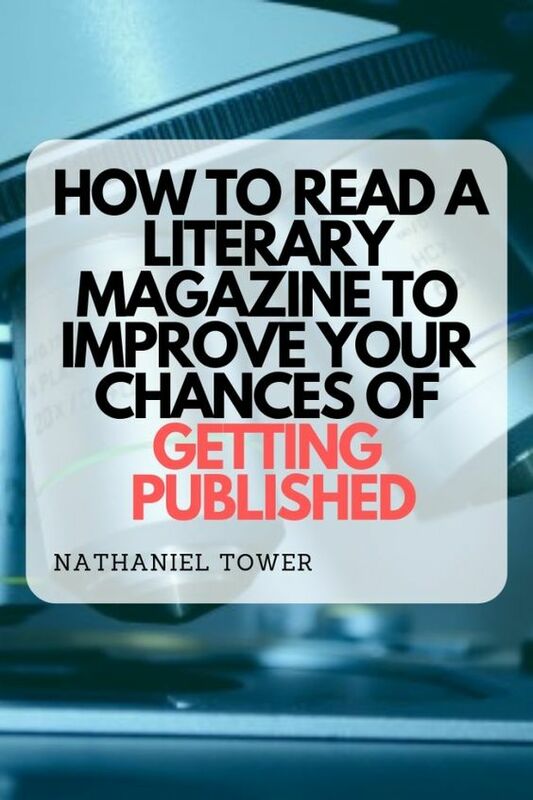 Want to get Published ? Author Dennis HickeyPosted on February 4, 2019 Categories WritingTags Writing TipsLeave a comment on Want to get Published ? What is Flash Writing ? 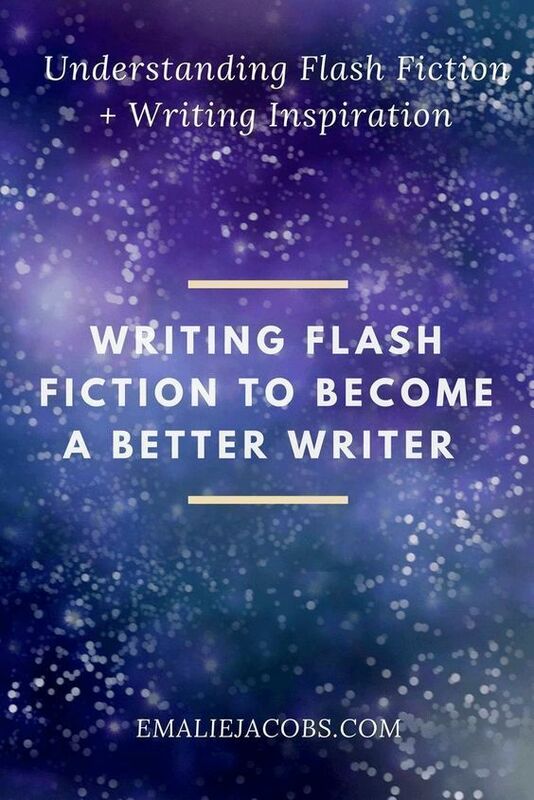 Author Dennis HickeyPosted on February 3, 2019 Categories WritingTags Writing TipsLeave a comment on What is Flash Writing ? 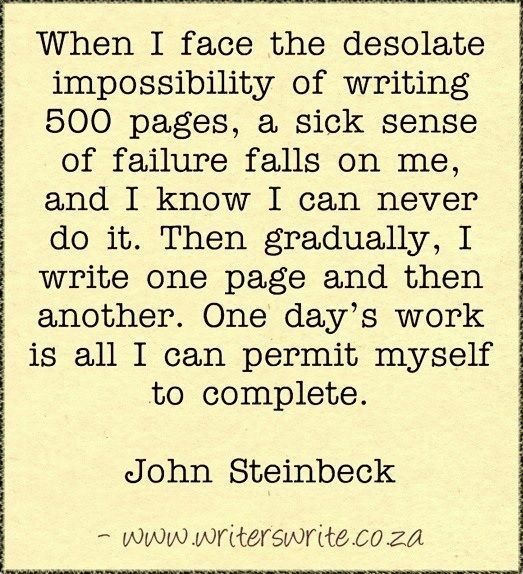 See, even John Steinbeck took it one day at a time. We get it John. One day at a time ! Author Dennis HickeyPosted on February 1, 2019 Categories MotivationTags Writing TipsLeave a comment on See, even John Steinbeck took it one day at a time.